Nothing compares to this chilling giant in the Himalayas that is named Siachen Glacier. Siachen is more commonly known as the highest active battlefield in the world. The glacier is one of the coldest region on earth but the name 'Siachen' means 'places of the wild roses'. The glacier probably got the name because of the high number of wild flowers that are found in the valley below the glacier. With more than 2 trillion cubic feet of ice, Siachen glacier is the largest glacier in the world outside the Polar Region. 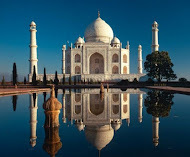 The glacier is located on the northern slopes of the Karakorum Range, which is near the India -Tibet border. Siachen Glacier is around 72 km (45 miles) in length and is more than 2 km (1.2 miles) in width. There are more than 45 peaks that rise above 18000 feet within the 25 km range of Siachen Glacier. Not more than 16 have been named and only six have been climbed till now. The water from the melting Siachen glacier is source to many rivers in India and Tibet. Shaksgam River and Mutzgah River that run parallel to the mountain before cruising into Tibet are fed by the water from the glacier. Rocks and boulders are scattered on the sides of the glacier but in center there is a gigantic open area covered with few inches of snow. 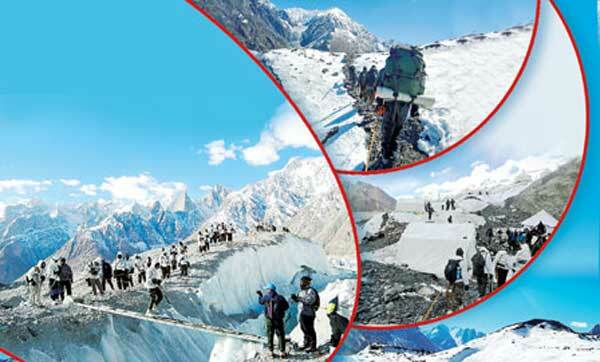 As far as adventure is concerned, Siachen Glaciers is a dream for mountaineers. Every adventurer considers a step on the top of Siachen Glacier as the greatest trophy he can get. There are many ranges around Siachen that are still to be conquered. Probably because the area is always having a large army presence in the area. Most of these ranges, just like Siachen Glacier are extremely tough to negotiate, but then that is what all dare devils crave for.